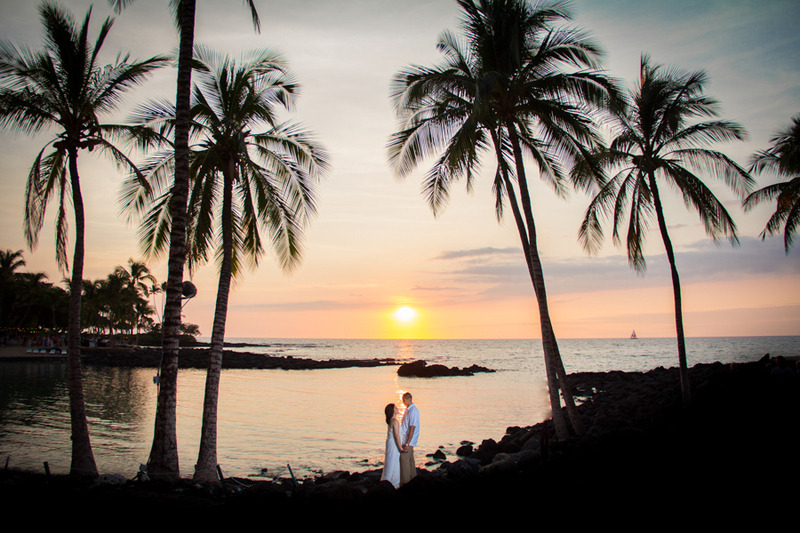 These two found the perfect location for their honeymoon. 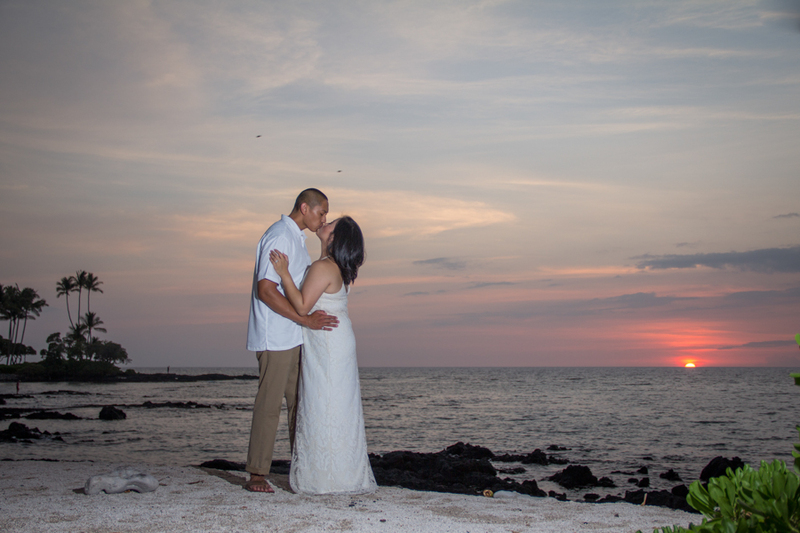 Tropical, beach, ocean, secluded and oh yes...sunsets! 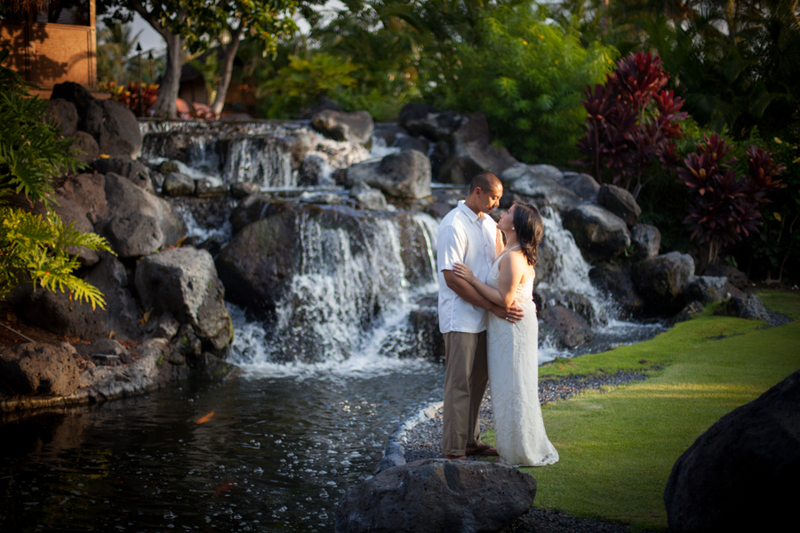 I joined them for one at their resort, the Fairmont Orchid on the Big Island of Hawai'i. With perfect weather /nearly/ every day of the year, this resort which boasts it's own personal beach, luau, gourmet restaurant, palm tree-peppered pool area, sitting on the west side of the island to look straight into the sunset off the water, this was indeed the perfect spot for a romantic honeymoon getaway.